An obvious choice for birders: Owned by experienced local bird guide Franky Mambrasar, with both Red and Wilson’s Birds of Paradise displaying nearby. 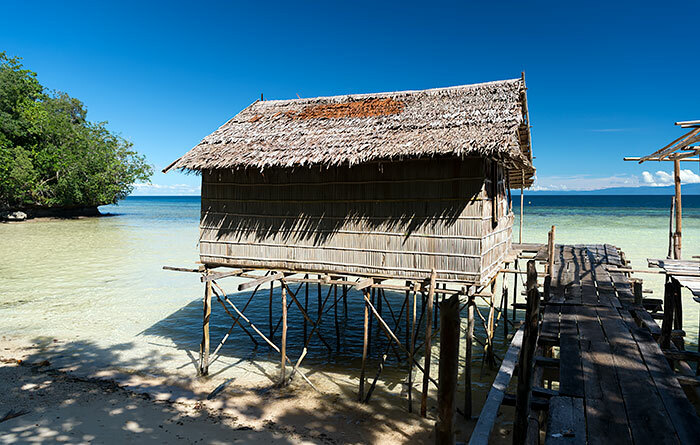 Wapnansan Homestay lies on the south coast of Waigeo island, about a twenty minute drive west of Waisai. Wapnansan Homestay has two two-room, over-water bungalows. Bungalow rooms are furnished with the usual mattresses, sheets, pillows, bolsters and mosquito nets. All bungalows have covered verandahs with tables and chairs. 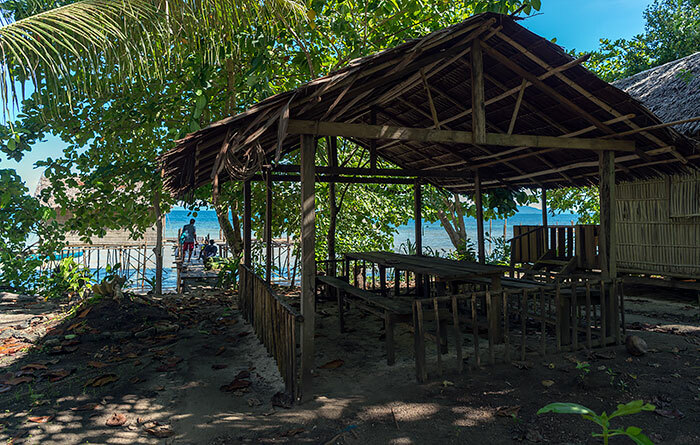 Meals are served in Wapnansan Homestay’s beachside dining room, where drinking water and tea and coffee making supllies are always freely available. 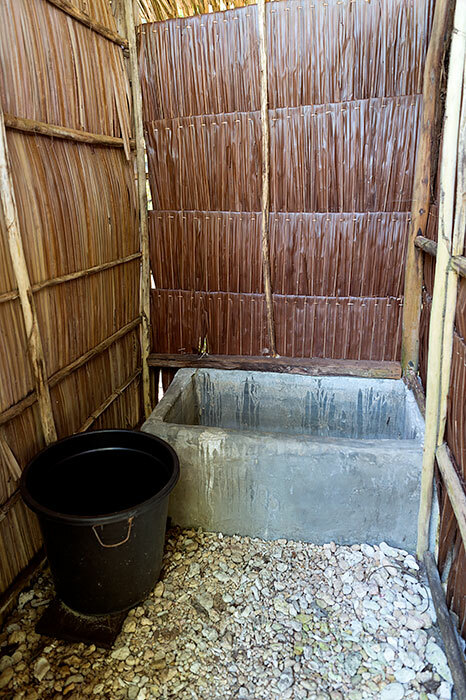 All guests share a single bathroom building, which has stone chip floors and a raised squat toilet in one room and bucket bathing in the other. Electricity is supplied by generator and is available from sunset to around midnight, and Wapnansan Homestay receives a strong phone signal. A 3G data connection is usually available. Wasiai is twenty minutes away by road if you need supplies. 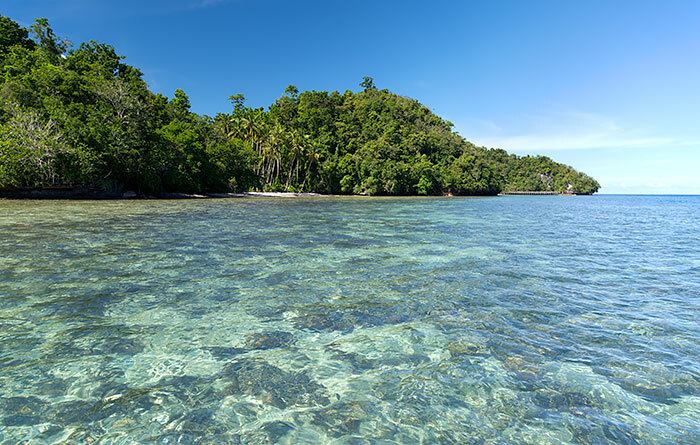 No safe waste disposal or recycling facilties are available in Raja Ampat, so – if you don’t wish to contribute to the trashing of paradise – please take all inorganic waste (especially plastic, dead batteries etc) away with you when you leave. English is spoken at Wapnansan Homestay. Transport between Wapnansan Homestay and Waisai is by car and costs IDR 250,000 each way. Depending on luggage, you can fit up to five passengers in the car. Trip price is shared by passengers. Wapnansan Homestay owner Franky Mambrasar is an experienced bird watching guide and both Wilson’s and Red Birds of Paradise regularly display near the homestay. 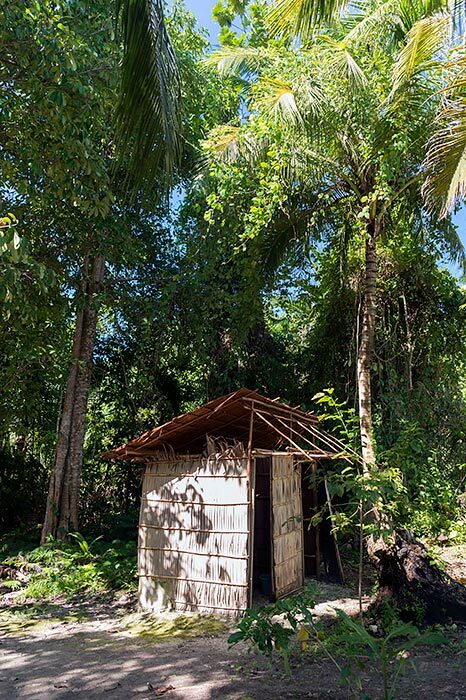 The homestay makes a great base to observe both these and the many other species that inhabit the surrounding jungle. 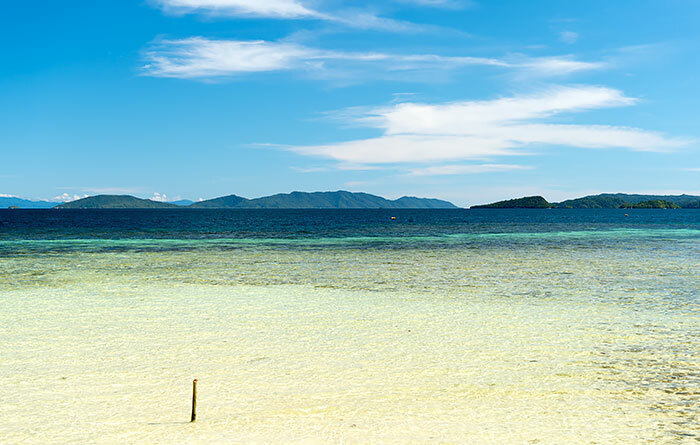 The wide sandflats in front of the homestay give way to coral and a reef dropoff that make for good snorkelling. Diving can be arranged in conjunction with nearby dive centers. 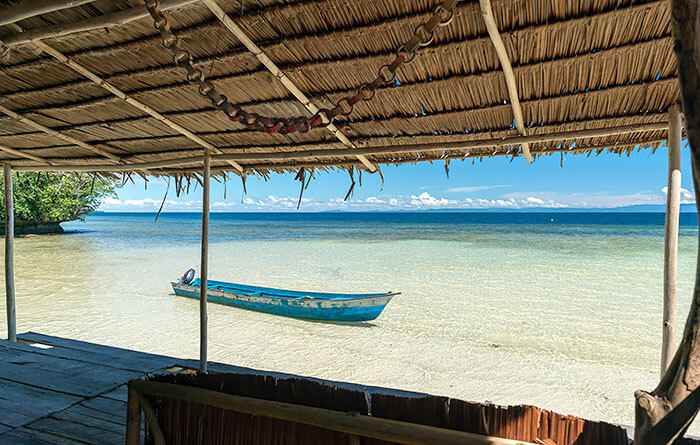 Wapnansan Homestay can arrange any kind of sightseeing or snorkelling tour you wish – just ask. 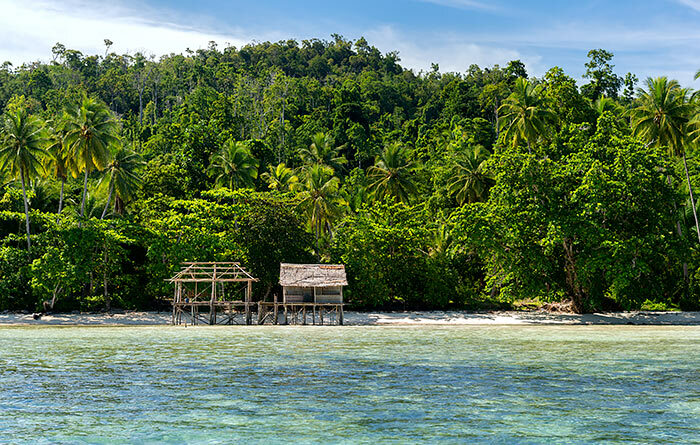 One popular tour visits Friwen Wall for some of the best snorkelling in Raja Ampat, then continues up through Kabui Bay to Batu Pencil and the Warikaf lookout point near Kabui Passage. The cost of that trip is IDR 2,000,000 (shared by passengers). 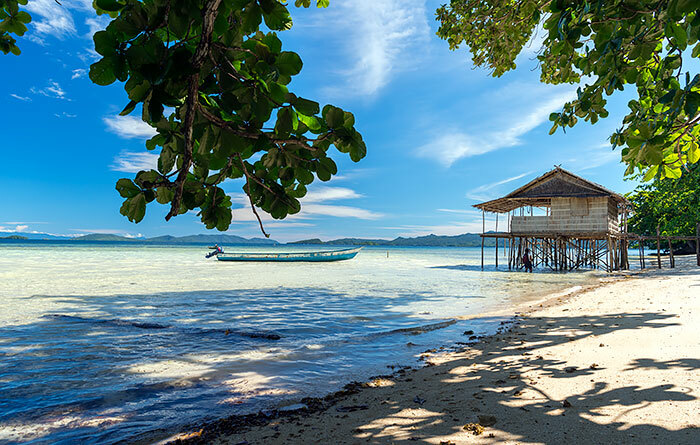 See our Waigeo Island page for an overview of the island and its attractions. You really felt like living with the family. 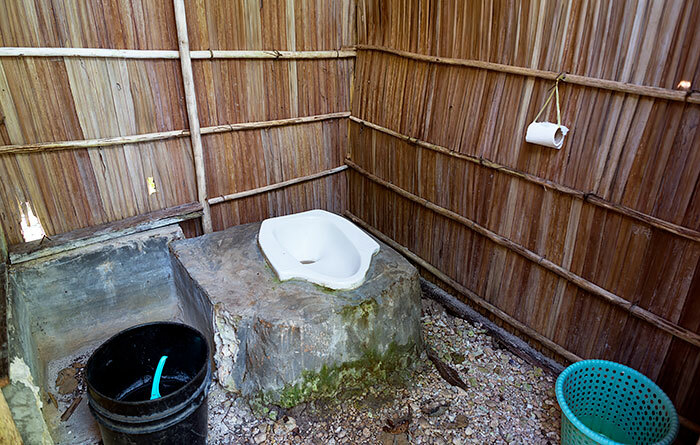 Good facilities and food but the toilets could be improved (just a cabin on earth soil). 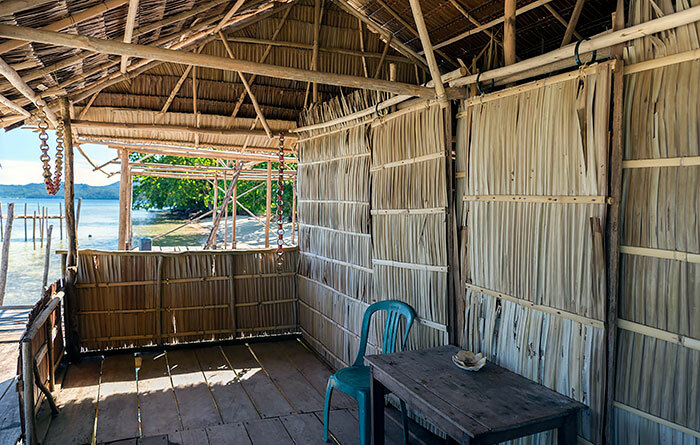 The bungalows are equipped with a small table and chair, a hammock and washing lines. Good jungle vibes. No rats seen. During my stay there I went diving once with the scuba republic resort which you can reach by foot in about 20min. Je suis resté une nuit dans ce home stay. Je suis arrivé en fin de journée, l’accueil a été agréable, le dîner servi était simple mais très bon ! La chambre vraiment basique, un matelas posé par terre, une moustiquaire … tout était humide parce qu’il y avait eu béaucoup de pluie dans la journée. Nous nous sommes couchés, j’ai entendu du bruit, j’ai allumé la lumière de mon portable, j’ai vu 2 rats qui étaient en train d’essayer de manger mon sac à dos…. J’etais vraiment fatigué et pas beaucoup d’autres options que de dormir … je m’endors et environs 1 heure plus tard j’ai été réveillé par un rat qui me mordais le bras…. Je n’ai donc plus dormi et attendu le jour pour partir ! I stayed 6 nights at the homestay and it was realy great good food Nice bed . Franky do knows all the best birding spots around. Very friendly family they try to help as best as possible for your needs. I would sure recomend this to anyone with interest for birding. And if there is a language problem just ask for Bram as he speaks good English.